new linen without the upfront financial burden. operate and encompass all elements of clothing provision for your staff. we cater to all of your requirements. Why Choose Aberdeen Laundry Services? Aberdeen Laundry Services scored 95.8% (Excellent) for the “Whiteness Reflectance” of our Cottons and 92.0% (Excellent) for Polycottons and for “Brightness” we scored 104 (Good) for Cottons.The “Excellent” results for Cotton and Polycotton Reflectance have been maintained showing that soil is being suspended within the wash liquors. 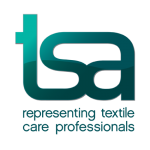 It may be that your current linen supplier is letting you down on quality or service or both. Or perhaps you’re keen to upgrade your linen to meet higher expectations or attract new customers. Our people are our greatest asset, so getting our people strategy right is essential to meeting our strategic goals. Our people strategy therefore aims to drive the right behaviours, capabilities, structures and incentives. Our focus is on further developing our leaders, equipping our staff to deliver the very best to our customers and having employee engagement processes designed to make ALS a great place to work. Thank you Aberdeen Laundry Service for the smoothest season we have ever had with laundry! Check if we serve in your area!